Park Yoo Chun who is starring in SBS drama “Rooftop Prince” was expressing gratitude towards the praises by viewers for his acting. Park Yoo Chun is playing two characters in “Rooftop Prince”, namely Lee Gak who time traveled from Joseon Dynasty to modern era, and 3rd generation of chaebol Home and Shopping company of present times, Yong Tae Yong. 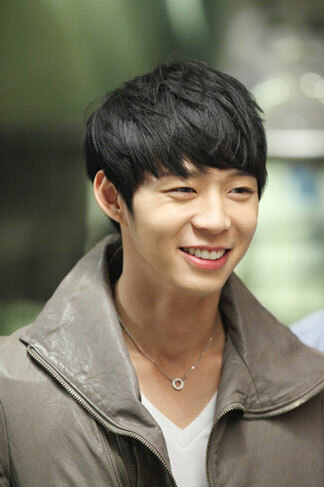 After the broadcast of “Rooftop Prince”, entertainment industry and audience have been given praises to the acting of Park Yoo Chun. Playing the two roles of Lee Gak and Yong Tae Yong, Park Yoo Chun not only portrayed the majestic shown by Yong Tae Yong and Lee Gak when handling cases, but he has also portrayed the loving expression in front of Park Ha (Han Ji Min), the comical actions when together with his courtiers, and other variety of charms, perfectly demonstrated the 6 different delicate emotional changes. To this end, Park Yoo Chun won the praises from audience, “So far, he’s the definitely the first in acting among idols,” “The real skillful actor Park Yoo Chun,” “If all idols have acting like Park Yoo Chun, there won’t be controversy,” and so on. On the other hand, the returning of Yong Tae Yong who is presumed to be dead has heighten the tension, and the “Rooftop Prince” in big reversal broadcast its 16th episode on May 10th, 2012.